No matter how good your mattress is, if your pillow isn’t any good you will wake up feeling less than rested. Having the wrong pillow might mean you wake up throughout the night or wake up sore because your pillow doesn’t support your head correctly. If you’re a stomach sleeper, you need the proper pillow for sleeping on your stomach. It can be difficult keeping the neck and spine aligned when sleeping on your stomach, but the best pillow for stomach sleepers won’t be hard to find, if you know what to look for. You can’t just use any pillow for sleeping on your stomach. This is because the average pillow is thick enough that it pushes your head upwards and stops your spine from being in a naturally straight position. This will lead to neck pain and contribute to poor sleep, which you don’t want. Luckily, there are a variety of pillows for stomach sleepers out there. It’s all about finding the right stomach sleeper pillows for you! One thing to look for when it comes to pillows for stomach sleepers is something thinner with an inclined surface. This will keep your spine straight and ensure that your neck isn’t uncomfortable. This is just one of the things you should consider when buying stomach sleeper pillows. You can find some of the other qualities to look for along with some recommendations, below. My Pillow may be the best pillow for stomach sleepers, but it also works for other sleep positions, too. Part of the reason that the My Pillow works with multiple sleep types is because you can get your pillow in multiple firmness levels. Additionally, your pillow will adjust with you as you move at night. So, you won’t have to worry about re-fluffing your pillow if you move or turn in the night! MyPillows can be bought through the MyPillow website at an offer of buy one, get one. 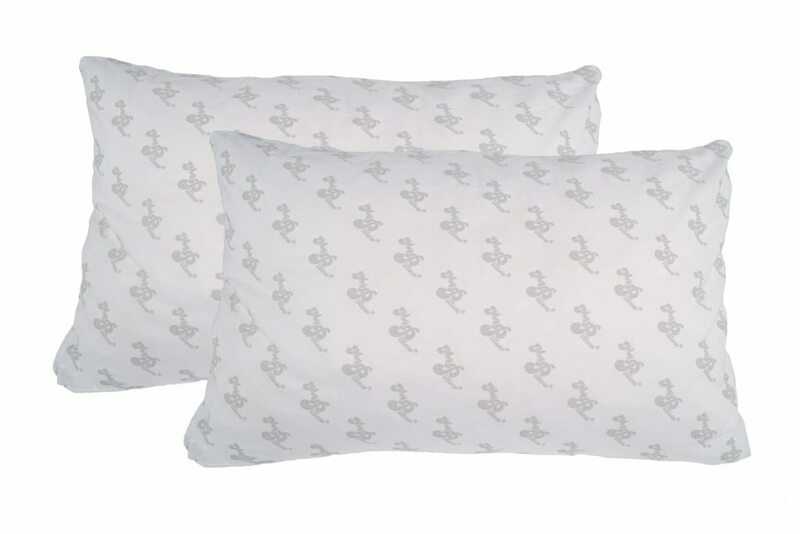 Every pillow is made here, in the USA, and comes with speedy shipping. Perhaps the best news of all is that MyPillow offers a 60-day risk free trial. If you find you don’t like the pillow for any reason you can return it in that time and pay nothing! Check out our MyPillow review for more info. Using shredded memory foam that has been infused with a cooling gel, Coop is a pillow that is perfect for many sleep positions, including stomach sleeping! Coop pillows don’t sleep hot like some memory foam products are known to do. This is because of the gel infused memory foam fill. Thanks to a fill of shredded foam, you can adjust your own pillow by removing or adding foam, as needed. All of the standard pillow sizes are available with Coop. Shipping is fast and free, so if you order a pillow it won’t be long before it arrives on your doorstep. You will receive the first 100 nights as a trial, so if Coop isn’t for you, don’t worry! You will be able to return your pillow and get your money back if you’re unhappy with your purchase. Pronounced Snooze, Snuz is another good option if you’re looking for the best pillow for stomach sleepers. Snuz is known for having an interesting hourglass shaped pillow design. The divot running down the middle of the pillow is there to cradle your neck. The pillow is made with two separate chambers. It is filled with microfiber, and is covered in a breathable mesh cover. Snuz keep your neck comfortable and aligned throughout the night on a comfortable, cool surface. If you find that Snuz isn’t for you, they offer a 60-day trial with all pillow purchases. This gives you a chance to get your money back if you’re unsatisfied for some reason. The first thing you notice about DC Labs Ultra Slim Sleeper pillow is in the name. It’s an incredibly thin and soft pillow. At just two and a half inches thick, the Ultra Slim Sleeper will prohibit your neck from bending in the night. This will limit the amount of tension in your back and shoulders upon waking. Each pillow is made of memory foam. This is a perfect pillow for people with health issues like allergies as it is hypoallergenic, Anti-microbial, resistant to bed bugs, and anti-bacterial. DC Labs even offers you the chance to get your money back if you feel your pillow isn’t thin enough. This pillow has a lot going for it. For starters, it’s hypoallergenic. More specifically, it keeps away dust mites and other nasty allergens. 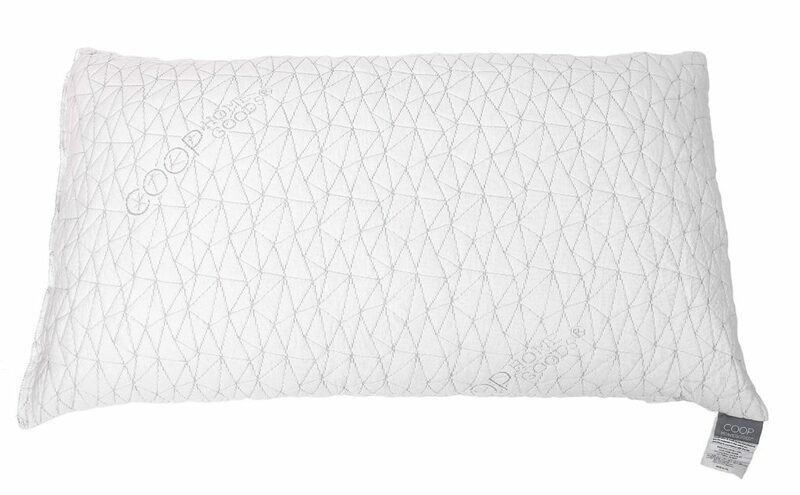 If you sleep hot, you’ll be happy to know that the bamboo pillow cover helps you to keep cool all night long. Xtreme Comfort pillows are made with CertiPUR standards. Thanks to the shredded memory foam filling your pillow, it won’t deflate in the middle of the night. Your pillow will hold its shape without flattening or becoming lumpy. Like many of the other pillow options here, Xtreme Comfort comes with a 30-day risk free trial. 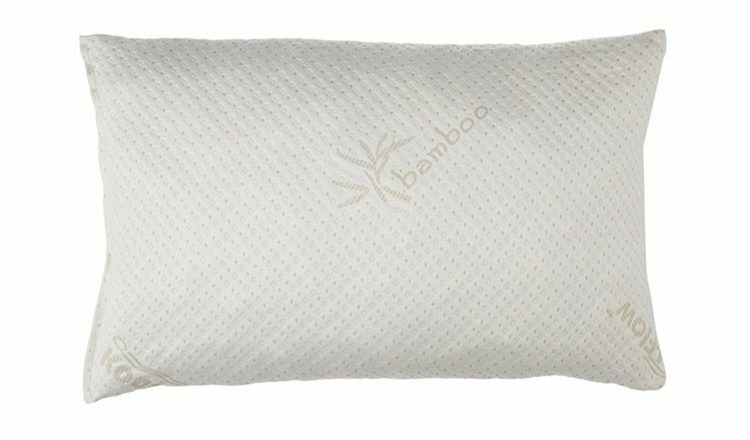 Give this bamboo pillow a night or two in court and if it doesn’t improve your sleep, you can always return it, hassle free. These are just a few options in your hunt for the best pillow for stomach sleepers. If you find the right pillow and decide you need a new mattress, you can look to our Mattress Guide for help!